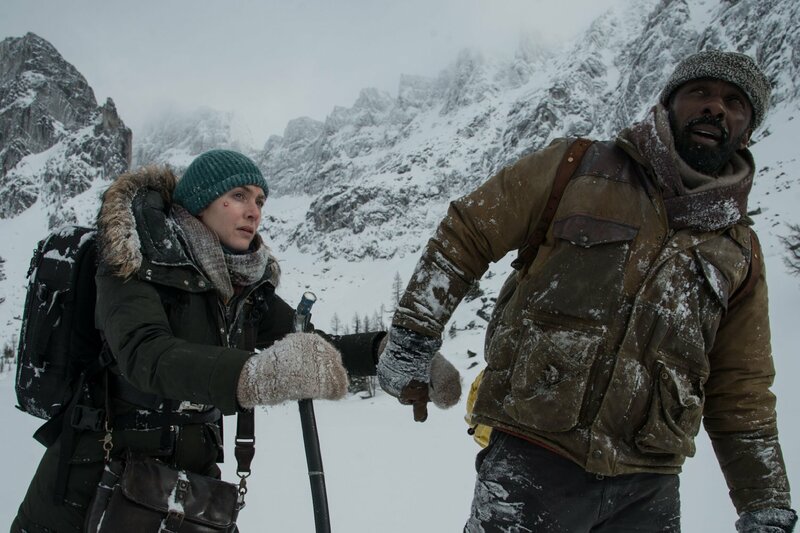 What we get from The Mountain Between Us – a slightly above average survival tale forced into room and board with an altogether unbelievable romance – is the kind of movie that’s more of a categorized showcase than a complete showstopper. The leading performances are as good as you’d expect from two acting vets, the cinematography is richly captured, and the difficultly it took to make such a rugged picture out in the elements emanates from the screen during every moment spent in the wilderness. However, where it lost me was when it began to forsake its vulnerability for safety and tidy clichés. Should you see it? I’d say yes, because some parts really soar, but prepare yourself for the occasional stalled engine and the maddeningly melodramatic ending. An impending storm has left all incoming and outgoing flights from Salt Lake City grounded. 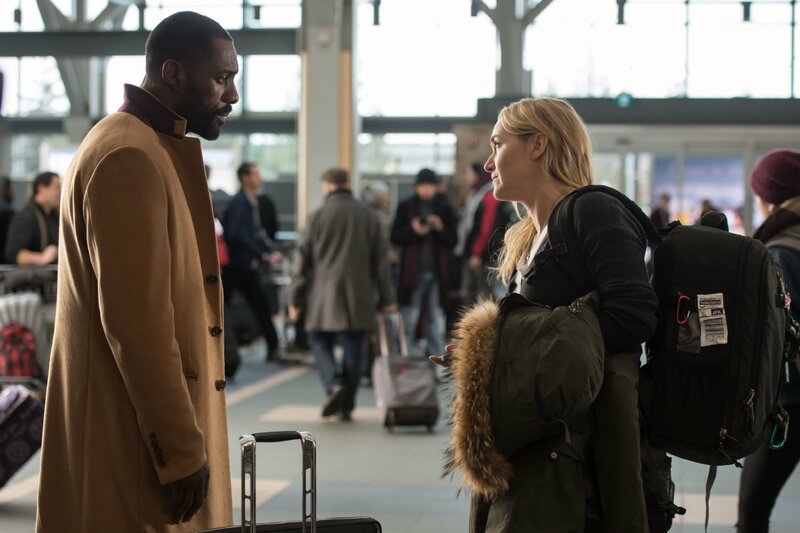 The neurosurgeon Ben (Idris Elba) is desperate to get airborne; he has to be in Baltimore to perform brain surgery on a child. Alex (Kate Winslet) is, for some unknown reason, terribly close to missing her own wedding the next day. She hails a charter flight from a pilot named Walter (Beau Bridges), invites Ben to hop aboard, he books tickets to their next destinations. Walter’s golden retriever even tags along. It looks like they’re going to head their separates ways sooner than later. Then during an impressive one-shot take inside the centrifuge, Walter suffers a stroke and down they go. They don’t know where they are upon waking up, nor does anyone else. Ben has a few broken ribs. Alex suffered a significant leg injury. Walter didn’t make it out alive. Dog lovers will be happy to know that the pup somehow goes unscathed. 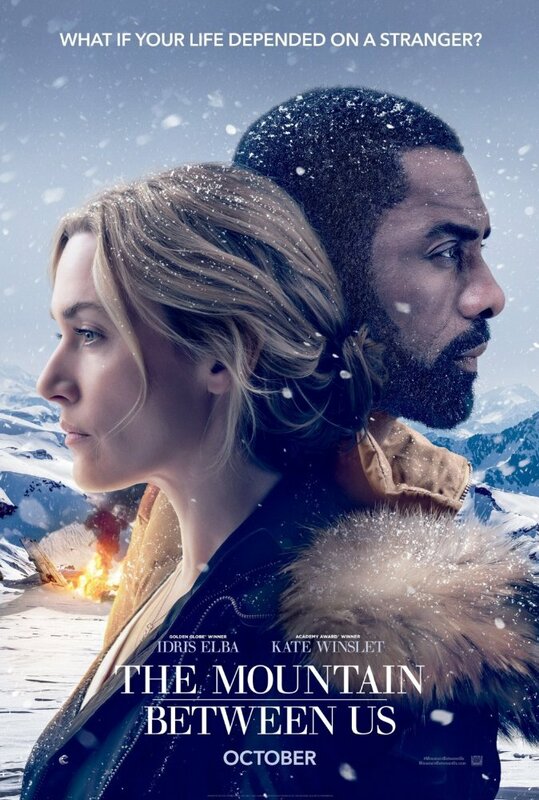 The Mountain Between Us definitely has its fair share of earned criticisms as far as the story is concerned. What happens and what they come across is laughably convenient, and the eventual sexual attraction feels more like a bad Nicholas Sparks invention than real chemistry. But where I think this film from Hany Abu-Assad throttles on all cylinders is in the characters’ relationship with their daunting surroundings. 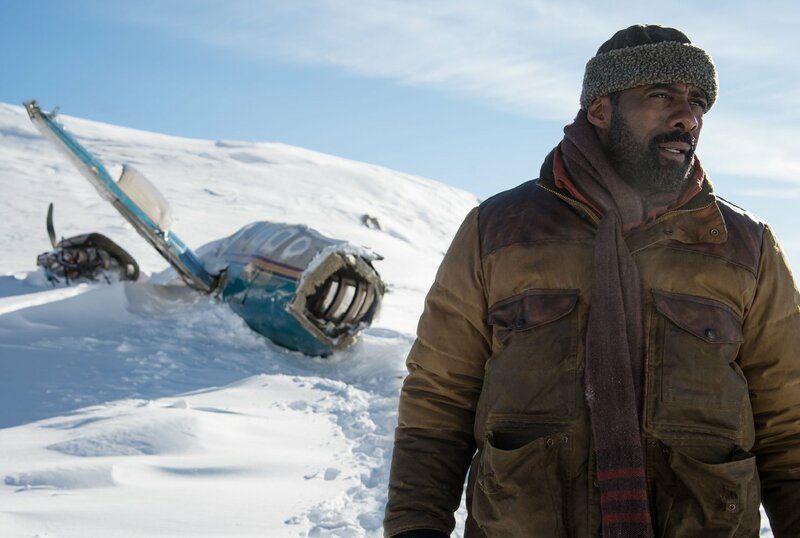 All conventionally told movies require an antagonist of some kind; The Mountain Between Us makes the deadly elements of Mother Nature out to be the bad guy, but also their lone life source. It’s a battle against beauty. There’s just barely more than enough to like about this movie for me to cautiously offer up a recommendation for a date night out at the theater. If you can hold back your reservations in regards to its absurdity and withstand some unconvincing emotional blows, I think you’ll be able to admire a flawed film that hasn’t been carefully thought out, but also appreciate one that’s been made with plenty of devotion. Two charismatic, intelligent, attractive actors give us their all – both physically and emotionally – to turn this so-so story into a false reality, and I think the film reaches its peak level of success when the going gets tough, mostly because it admirably tries and fails to rise to the occasion without ever completely succumbing to total disappointment. A tighter script and a stronger sense of direction would’ve helped this one find its way home.